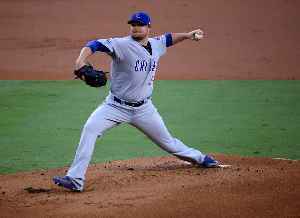 Jonathan Tyler Lester is an American professional baseball pitcher for the Chicago Cubs of Major League Baseball (MLB). He previously played in MLB for the Boston Red Sox from 2006 to 2014 and the Oakland Athletics in 2014. Less than two years after being diagnosed with lymphoma, Lester started and won the final game of the 2007 World Series for the Red Sox, and in May 2008, pitched a no-hitter against the Kansas City Royals. He helped lead the Red Sox to another championship in 2013, and he won the 2016 World Series with the Cubs.